Moringa Oleifera is a plant which has been used to treat a variety of ailments, such as anaemia and joint pain and to boost health for centuries. It has been proven to contain a variety of vitamins, minerals, amino acids and antioxidants, so scientific research has focused on its effects on weight loss and improving dietary health. 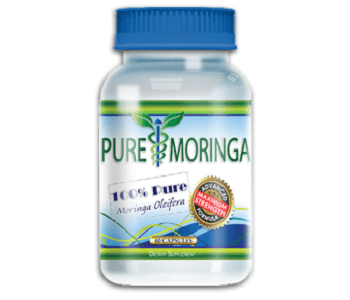 That is why there are a range of supplements for sale that use Moringa in some form or another, from capsules to oils. 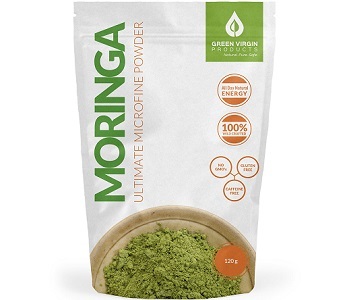 This review looks at Green Virgin Moringa Fine Powder – which is actually the pure leaf finely ground in its raw form. This product aims to improve energy levels, mental performance and overall general health. This product is one hundred percent Moringa leaf powder. Moringa contains a variety of vitamins, but it is particularly high in vitamins A, C and E. These vitamins play a role in many vital body functions such as collagen production (which gives skin its firmness), or in eyesight neural pathways. Moringa also contains minerals such as calcium, iron and potassium. These minerals are involved in nerve function and iron is an important component in hemoglobin, which carries oxygen in the blood. Antioxidants are also present in Moringa. Antioxidants remove oxygen radicals which otherwise cause tissue damage and inflammation. Moringa contains an important substance called benzylamine. Benzylamine has been scientifically proven to help with weight loss. It is thought to interact in the insulin and fat storage metabolic pathways in the body. The full package contains 50 packets which each contain 2 grams (0.07 oz) of Moringa powder. One of these packets should be taken a day, dissolved in water, or a smoothie, or something similar. No side effects have been associated with the use of Moringa. However, it is highly advised that pregnant woman avoid the use of this product or consult a physician before use as some substances in Moringa may affect the development of the fetus. Fifty 2g packets can be bought online for $42.99. There are no discounts offered for buying a bulk supply of this product, but a coupon can be acquired on the manufacturer’s website. Green Virgin Products offers a 90 day money back guarantee, though no details of this guarantee are provided, for example, if the guarantee is still valid if the product is opened. There are many customer reviews available for this product, most of which offer a positive response. This product contains completely pure ingredients, which offer a very high dosage of Moringa leaf. The product is also well packaged and separated into the daily recommended dosages, which are easy to travel with for usage while on the go. However, the price of this product is significantly higher than similar products and although there is a guarantee, it is ambiguous. We are also concerned that the active ingredient is delivered into the body in powder form as opposed to a capsule because this could expose the Moringa to harsh stomach chemicals which destroy the vitamins, antioxidants and amino acids.